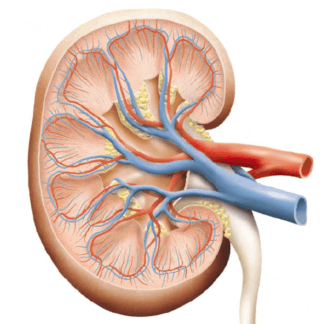 Have we forgotten about kidney disorders? They are really common, but we hear so little about how to get excellent results. Chronic kidney diseases are amongst the 10 most frequent causes of death in developed countries. They are highly preventable, and we have many research proven natural solutions. To give us a thorough, practical and up to date overview of these conditions, Dr Eric Yarnell ND has developed this three-part webinar short course. Eric is a specialist urological naturopath. He has exhaustively reviewed the world literature and has created a presentation short course showing good evidence of benefits of natural care. He is a Professor at Bastyr University, Washington, and is also Adjunct Faculty at Boucher Institute of Naturopathic Medicine in New Westminster, British Columbia. Eric runs a specialty practice focusing on urology, nephrology, and men’s health in Seattle , Washington. He has over twenty years clinical experience, eighteen years teaching experience and has published over 150 peer-reviewed articles. Natural solutions for chronic kidney disorders have clear benefits and research supports many herbs and lifestyle practices that are able to prevent and also treat them safely. Clear presentations explaining exactly how to recognise and to treat the range of chronic kidney diseases. Access to the video and audio recordings of all presentations. Dr Eric Yarnell is a Full Professor, Bastyr University, Kenmore, Washington, Department of Botanical Medicine since 2002. He teaches courses in naturopathic and herbal sciences. Eric was vice chair then chair of the faculty senate, and is sitting on the Institutional Review Board among several other committees. He is also Adjunct Faculty, Boucher Institute of Naturopathic Medicine teaching drug-herb interactions master class and assisting students with their first male pelvic examinations. From December 1997 to June 1999, and then December to present, he has been Adjunct Professor, Southwest College of Naturopathic Medicine, Tempe, Arizona where he teaches gastroenterology, urology, and botanical medicine formulation. Eric is currently in private practice at Northwest Naturopathic Urology, Seattle. It is a specialty practice focusing on urology, nephrology, and men’s health. Dr Yarnell has over twenty years clinical experience, eighteen years teaching experience and has published over 150 peer-reviewed articles. He was Clinician and Researcher, Bastyr Integrative Oncology Research Center, Kenmore, WA from Feb 2009 to Aug 2012. He worked with patients with urological cancers, primarily prostate cancer, in a research clinic with both Chinese and naturopathic medicine. He was Adjunct Faculty at Tai Sophia Institute, Columbia, MD from 2002 to 2009 where he taught the master’s program in botanical medicine, particularly in urology, men’s health, and gastroenterology. From March 2004 to March 2006 Eric was Visiting Faculty, Pochon CHA University in Seoul, Korea. He taught courses in western botanical medicine in the Graduate School of Complementary and Alternative Medicine to western and Oriental medical doctors. He was Department Chair, Southwest College of Naturopathic Medicine, Tempe, Arizona from June 1999 to November 2000. He oversaw the botanical medicine department including supervising adjunct faculty and guest speakers, and overseeing the annual herbal symposium. He was chair of the Institutional Review Board and secretary of the Faculty Senate. 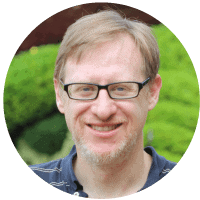 Eric has lectured and participated extensively in panels at numerous symposia and conferences in botanical and natural medicine in North America, Puerto Rico, England, Korea, and Georgia.